Supper clubs. While the idea may be relatively new in terms of its uptake, especially here in the North, already a lot of ink has been splashed and a lot of keyboards hammered to lay comment upon them. Before writing this I have read at least four other blogs and articles about supper clubs to get a feel for what’s been written. In all honesty some of them have probably already captured the essence of them more than I could, or certainly with a better vocabulary. So if I can’t depict the event like a journalist then the least I can do is tell a good story. I had booked two places for myself and my girlfriend at The Hungry Gecko supper club. The Hungry Gecko is the idea of Jackie Kearney, one of the finalists from 2011’s Masterchef. Already I felt a little intimidated heading to the home of a top class chef. 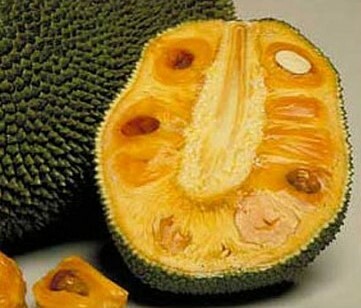 This is a jackfruit. It becomes relevant later on in the post. We pulled up slowly outside the house having reversed back down the street looking for the right house number. A clump of change for the taxi driver in one hand and a steadily warming bottle of white wine in the other, I pushed the door open, paid the taxi driver and made my way to the door. At this point my nerves were still with me as I wondered if it was too late to just sack it off and dive in the taxi to pick up some fish and chips to go with the Savingon Blanc. No, just ring the bell and wait. This must be the right house and I’m sure everything will go fine. Ten seconds late and we were warmly greeted at the door. We shuffled in and hung up our coats by the door as we were shown to the dining room. The table was beautifully set with restaurant quality touches such as the rustic style water bottles and the script-fonted place cards. As we had arrived at exactly 7:30 we were the second group to arrive. As we chatted with the other two guests who had already arrived, we were slowly joined by more people, each going through the same arrival procedures as ourselves; greetings exchanged, coats deposited and seats taken closely followed by the rearranging of place cards to suit. With everyone seated and nicely relaxed, service began. The amuse bouche was a sweet and sour popcorn tofu. The paprika in the coating was a great light spice flavour but it was the texture of the tofu providing the backdrop to the sweet and sour. My bouche was thoroughly amused. 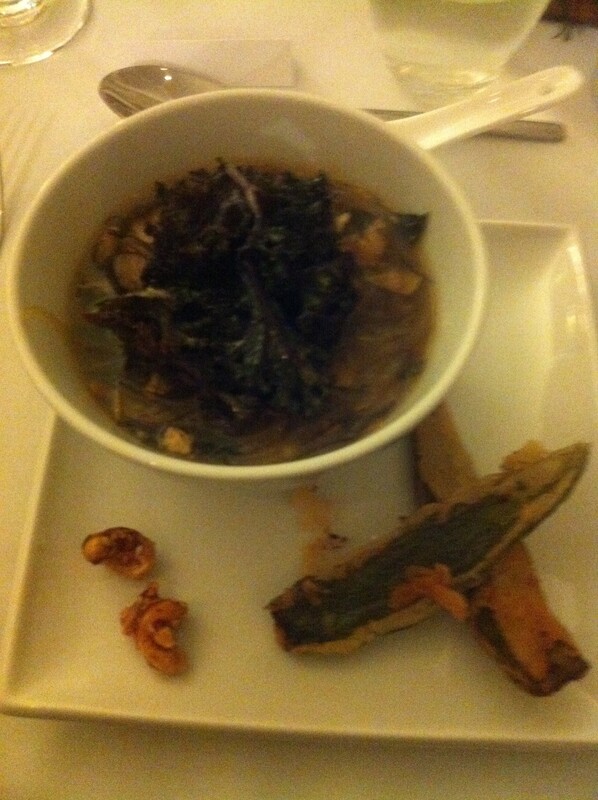 The starter was a great little soup listed on the menu as ‘ Buddha’s Delight, Chinese noodle soup with exotic mushrooms & bean curds, Served with crispy kale & chilli cashews’. Not to seem to have missed the point this, but I really loved the chilli cashews on the side. They seemed to be encased in almost a caramel substance. Crunchy, chewy, chilli. I almost forgot to eat the soup, which was prepared with 14 ingredients and tasted exceptionally fresh. Any food that comes on a stick is tops in my book, but smokey tempeh and tofu on lemongrass skewers kicks it up a notch. Again, as a regular meat-eater, the texture was the first thing I picked up on, being softer and more uniform. 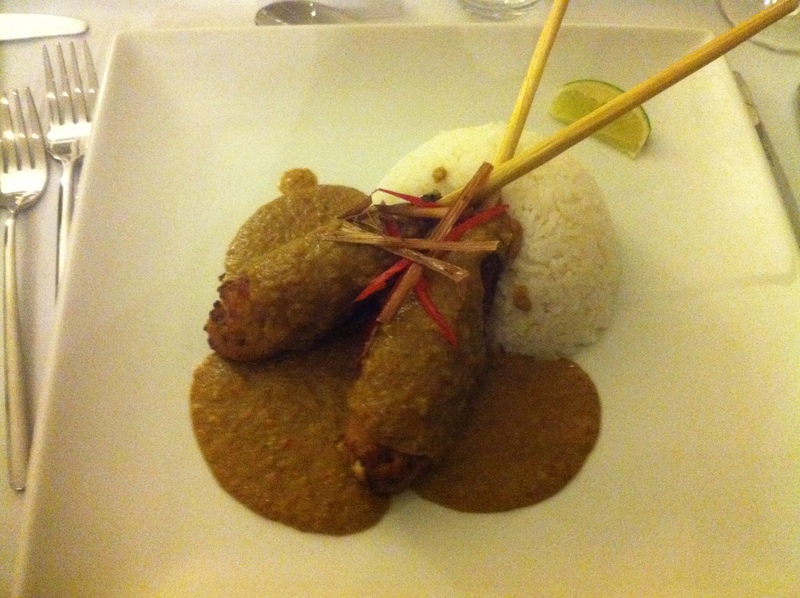 What this actually meant was that the flavour from the satay sauce was fully absorbed by the tofu. I also have to say that the portion sizes were certainly to my taste. The jasmine rice mopped up the remainder of the sauce and nicely filled any remaining holes. Fortunately, there was still plenty of room in my dessert stomach so the next course was great and also my favourite named course of a meal ever: Pre-dessert. A duo of jackfruit & mango sorbet and lime & coconut sorbet. I hadn’t come across a jackfruit before but the menu description described it as an earthy pineapple and that pretty much spot on. This mixed with pineapple and coconut didn’t just clear the palette but striped it clean and left it zingy fresh. Best Dessert Ever. I tend to talk food up a lot but this honestly is the best dessert I’ve ever tasted despite the fact that I’m a massive chocoholic. 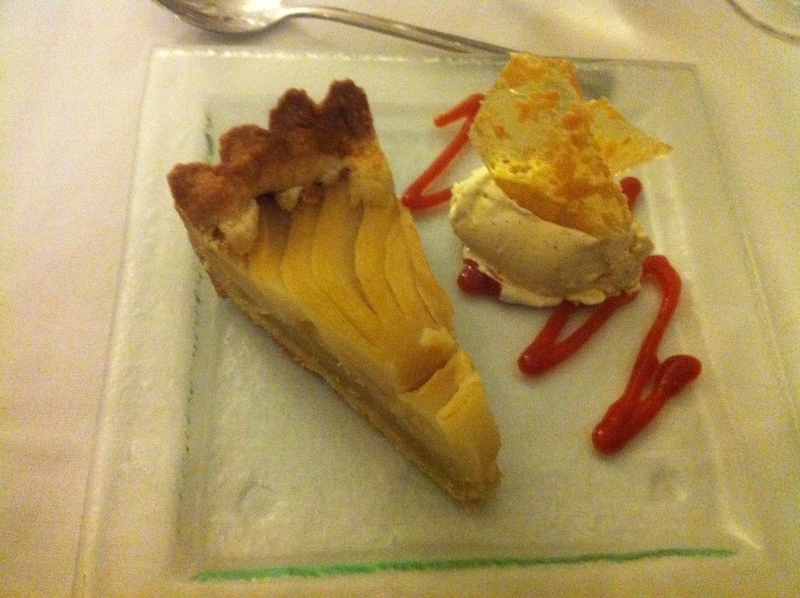 The pear and frangiepane was sweet, slightly firm and casually delicious. The ice cream brough the star anise flavour through beautifully holding the aniseed’esqe flavour excellently inside that creamy ice cream. The salted almond praline gave it the deep flavour and the goji berry added the high notes. For me this dessert practically sang, giving me one of those rare moments in a meal where I actually sit back, stop and muse over the flavours I’m experiencing. This wasn’t just the end of the meal, it was a true show-stopper. A great evening spent with good people in a lovely home enjoying exceptional quality food. I’m amazed that I left. I’d like to extend my gratitude to Jackie for the evening. I know that for the time being there aren’t any more supper clubs in the diary coming up, but I would highly recommend keeping your eyes on The Hungry Gecko, as I’m sure there will be some great things to come.